What do I write about an author who is referred to as a favourite by several of my favourite authors? As celebrated as he was as one of the greatest Indian writers and as a pioneering voice in Indian writing in English along with Raja Rao and Mulk Raj Anand, Narayan’s books were more than just a part of my library. They were a part of my life while growing up, a sentiment that is commonly expressed by most of his readers. Narayan’s fiction is like the music of MS Subbulakshmi and the poetry of Subramaniya Bharati, which transcend the boundaries of art and flow and seep into the lives of those who experience it. The first novel by Narayan that I read was Mr.Sampath which opens with a description of Market Road in Malgudi, and proceeds to give the reader a set of delightfully complicated instructions on how to reach Kabir Lane which was home to the Truth Printing Works, from where the writer Srinivas published his magazine ‘The Banner’. Since then I have walked several times through the many streets of Malgudi, wandered through its shady groves, strolled by the banks of the Sarayu river, taken trips to the hills and forests outside the town, and sat on the verandahs and ‘pyols’ outside the houses and watched his characters live. I still go there occasionally, and every time it feels like home. When I started working and building a library of my own, one of my first purchases was a complete collection of Narayan’s work, most of them inexpensive paperbacks from his press Indian Thought Publications. More than ten years later, the books which have been read more than a few times are still in excellent condition. The paper has not faded, nor a single page has come loose from the simple binding. The physical copies of the books have endured, like the author’s writing. Readers who pick up Narayan for the first time often start with what is called his coming-of-age trilogy which showcases three protagonists who embody a single character’s consciousness as he begins life as the innocent schoolboy Swaminathan in Swami and Friends, experiences first love and heartbreak as the college student Chandran in The Bachelor of Arts, and enjoys domestic bliss followed by personal tragedy and acceptance as The English Teacher Krishna, who is alleged to be a close self-portrait of the novelist. On venturing beyond these three novels which contain semi-autobiographical elements and are set in the comfortable upper-class milieu to which the author belonged, one is exposed to a number of weird, wacky characters from various sections of society, who merge effortlessly into the vibrant chaos that is the town of Malgudi. 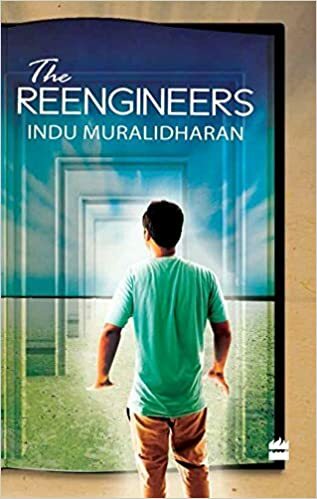 The Financial Expert Margayya, The Vendor or Sweets Jagan, the taxidermist Vasu in The Maneater of Malgudi and the garrulous Talkative Man are drawn out to perfection in the respective novels. But the characters who appear in the Malgudi short stories are no less perfect – a fraud astrologer, a street food hawker, a musician who is exploited by her husband, loyal nannies who bond with the children they look after, treacherous workers, men who contemplate turning forty, misers who worship crisp bundles of currency notes, old men reminiscing about their past which appear to them as far away as past lives, postmen who become like family to the people to whom they deliver mail, a friendly dog which runs away with a burglar…Malgudi is a complete world in itself, every character and situation invoking mixed emotions of reflections on life, pathos, empathy, and laughter. Though his stories were set in the conventional surroundings of small-town twentieth century India, Narayan portrayed the inner strength of women in many of his female characters. Savitri of The Dark Room retires to her room each time when faced with the harshness and ultimately infidelity of her male-chauvinistic husband. She does an make an attempt to escape from her oppressive situation, which was a bold step for a woman who lived in that period (the novel was first published in 1938). In Mr.Sampath, Srinivas’ wife is a traditional woman who hesitates to eat outside the house or go out to the market by herself. Yet, she does not suffer being ordered about by her husband, who respects her for it. Likewise, Rosie in The Guide, Daisy in The Painter of Signs and Bharati in Waiting for The Mahatma, display streaks of independence and their determination in their pursuits of art, social work, and national service respectively gives strong shades to their characters. This is something I have emulated in my own writing. Most of my characters are far more interested in other things than love and romance, but if they need privacy I would rather leave them to it. I respect my characters too much to invade their intimacies. Perhaps an attitude imbibed from reading Narayan. He was one of the greatest yogis, ever.